Our regular Future Skaters class is CANCELLED for Labor Day, Sept 4, 2017. Don’t show up at Empire Roller Rink; we won’t be there. We’ll pick back up on Monday, Sept 11, with the scheduled Review + Mock Skills test. Read Inside Columbia Magazine’s write-up on alternative fitness, featuring CoMo Derby. Squats, squats, and more squats. Watch bouts on WFTDA TV. Tell your friends and family about your derby adventure. More derby stance. Get lower. 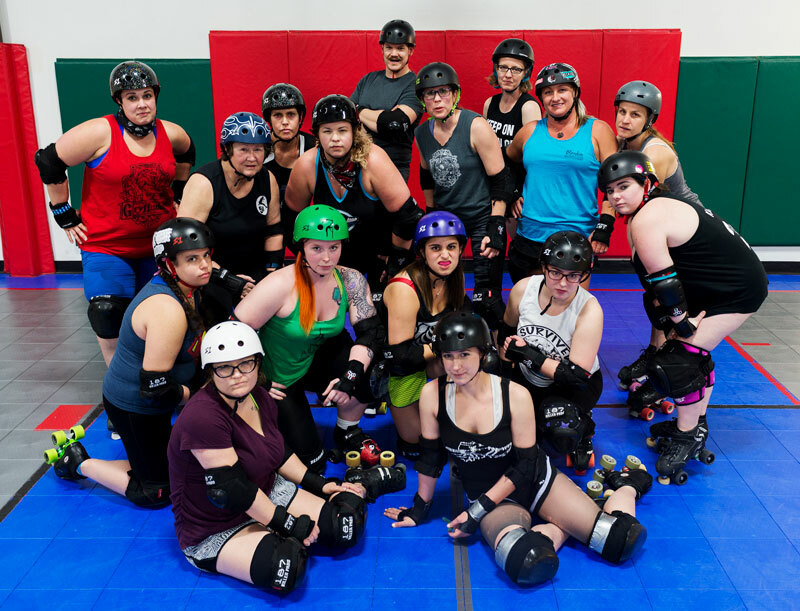 If you’re not currently enrolled in the CoMo Derby Dames Future Skaters training program, you can join our next session starting October 5. All training sessions are held from 7-9 pm at Empire Roller Rink in Columbia. Bring $5 and a boil-and-bite mouth guard. We provide skates and safety gear. Email comoddrecruit@gmail.com if you have questions or head over to our Facebook page for up-to-date news.